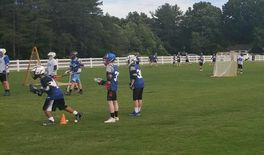 The Blackhawks' 11th summer season for youth, high school, and adult players will get underway at Cash-Bagley Fields, 4700 Old Hollow Road, Kernersville in the third week of May. ​SUMMER REGISTRATION IS NOW OPEN! We accept all experience levels into our program, including new players.